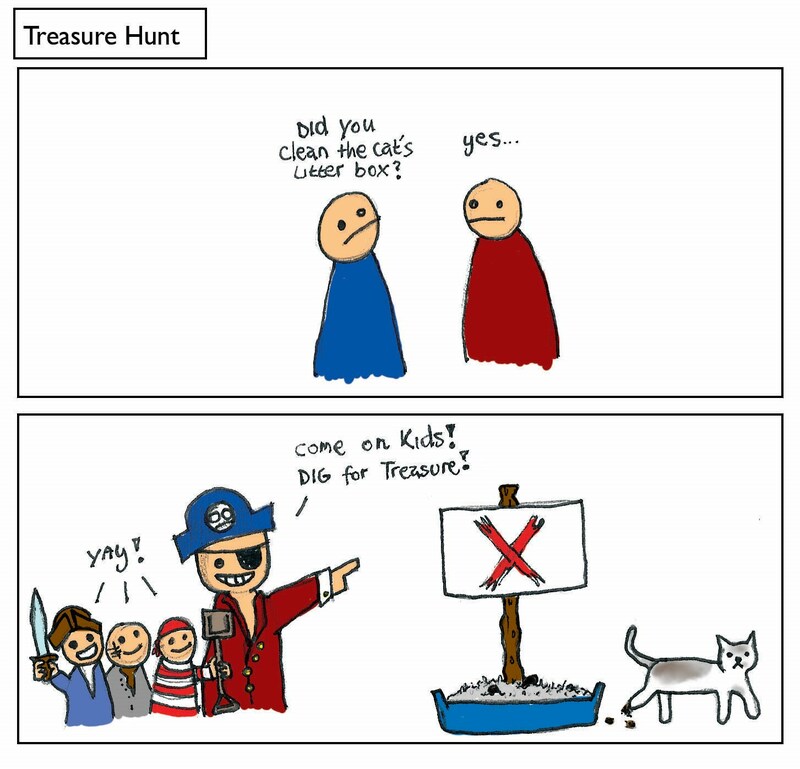 This comic's inspired by my girlfriend Mashers who was cleaning our cats litter tray and likened it to 'The Saddest Treasure Hunt Ever'. I think you could make this job more bearable by feeding your cat vast amounts of glitter so that it has sparkley poops but there's probably a law against feeding arts and crafts material to household pets. I might to have just like concerning I do believe you might get this career a lot more manageable simply by serving the feline great numbers of glitters so that it provides sparkle poops yet there is certainly possibly any legislation in opposition to serving martial arts styles and also homemade projects substance to be able to family animals.